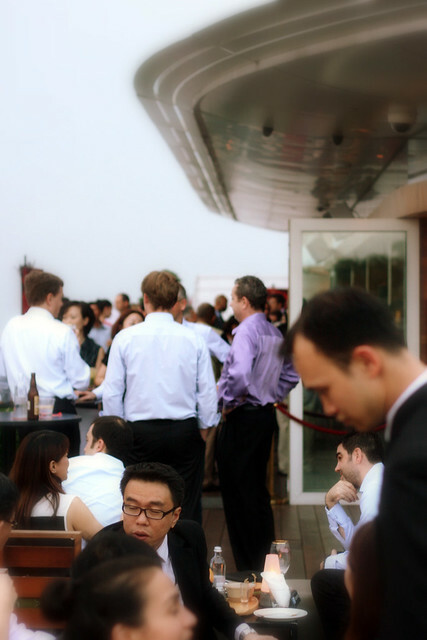 Recently I joined some of my friends (who got to stay at the Marina Bay Sands) for some drinks and bar snacks at KU DÉ TA. I previously shyed away from this place because it had this almost forbidding aura of exclusivity, but we all found it can be a nice casual place to chill. From the club menu, we tried a few items. 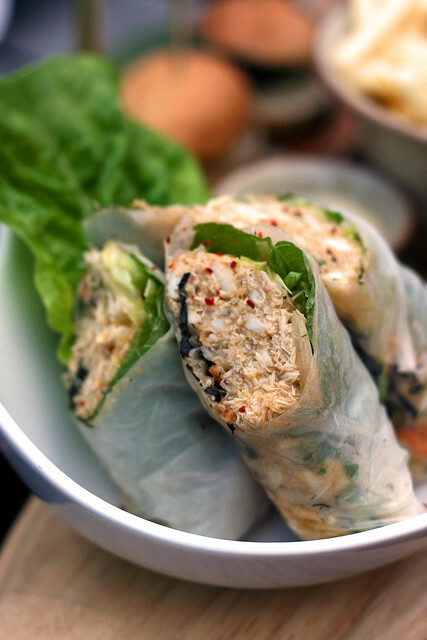 The Lump Crabmeat Summer Rolls with Yuzu Mayo (S$16) is just the thing for our warm weather. The juicy and generous crabmeat filling is a burst of seafood sweetness scented by yuzu. What's bar food without some grease bombs? 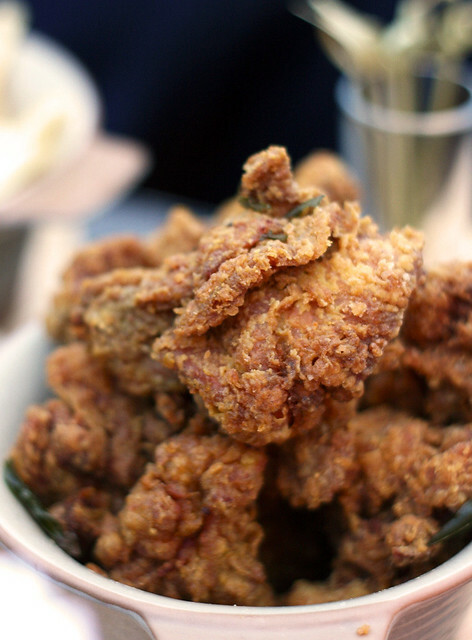 Crunchy curry fried chicken and calamansi (S$16) - the crunch is addictive! It's not as spicy or salty as I thought it'd be though. Good with chili sauce. olive mayo. I didn't try this, but heard it was not bad. 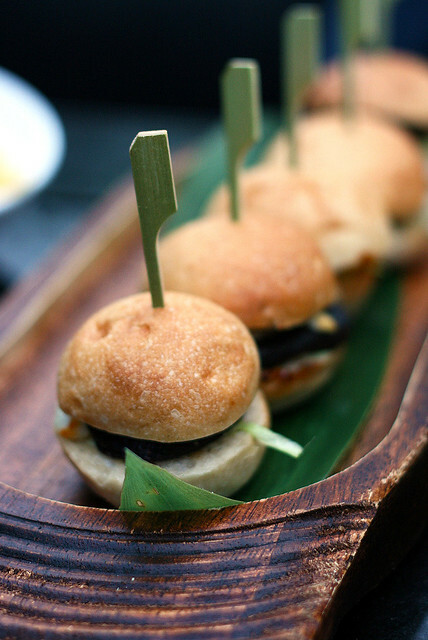 I got the similar looking Pork Belly mini burgers (S$22) which was even better! Kurobuta pork belly glazed in a soy-vinegar sauce, topped with pickles and interestingly, peanut sauce. Yes, it's fatty, but it's the kind of tasty fattyness that makes you feel it's worth it. passion fruit and passion fruit foam. Very light and thus perfect for me (my alcohol tolerance is hopelessly low). And look! They have an "Angry Bird" cocktail on their drinks menu. 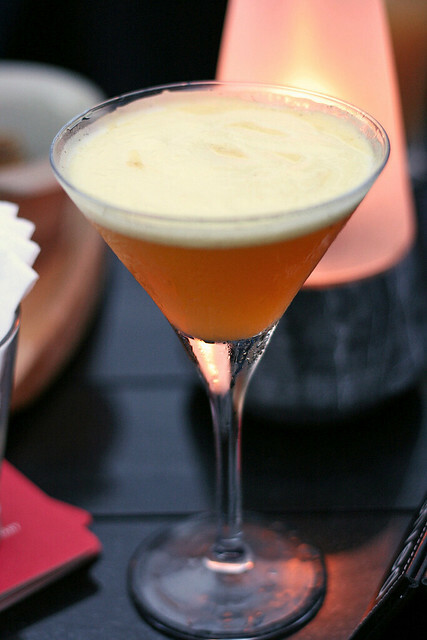 Chivas Regal 18 years scotch whisky, crème de peach liqueur, lemon juice, apple juice. Though intrigued, none of us were fond enough of whisky to order this, I guess. Next time, maybe I'll try it. Berry Bellini (S$20) and some martini behind it. 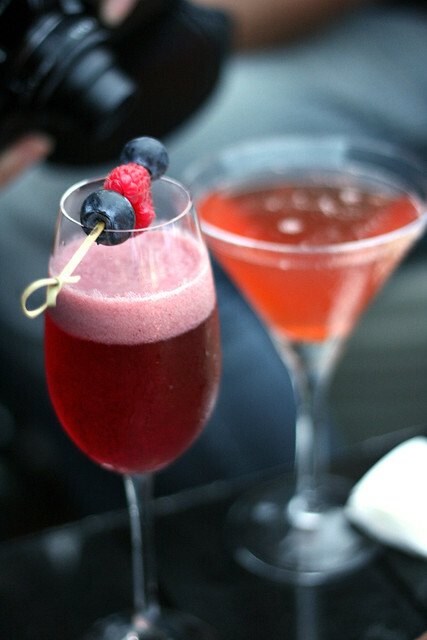 The Berry Bellini is made with Prosecco, Chambord with muddled fresh raspberries, strawberries, and blackberries. Sounds like lots of antioxidants and vitamins! 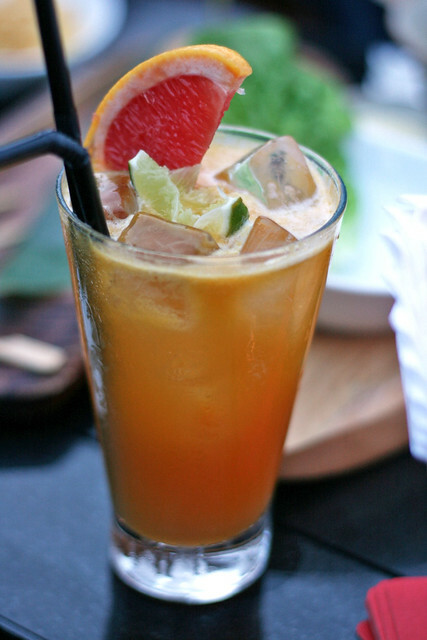 juice, pink grapefruit soda. The colours and slice of grapefruit seems to point to it. 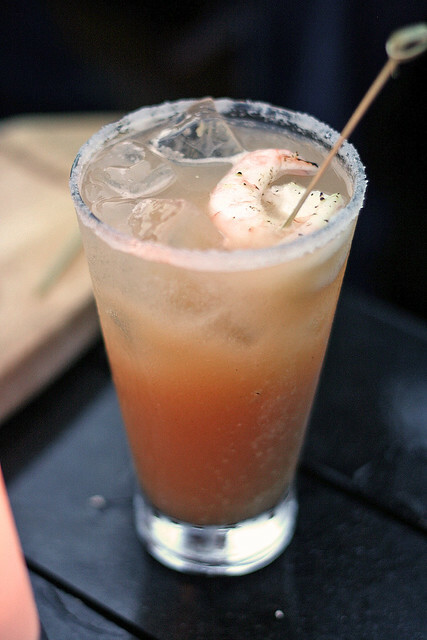 Goose vodka that comes with a grilled wasabi shrimp. 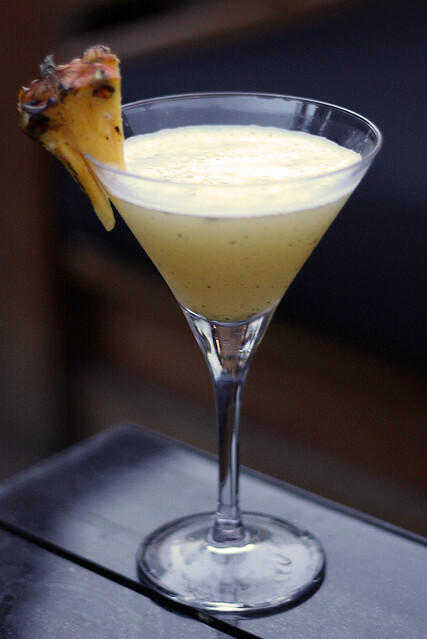 The "Yellow and Dirty" martini (S$20), Grey Goose vodka muddled with fresh pineapple and vanilla pods. KU DÉ TA does see a good crowd in the early evening, well before clubbing hours. Many people come here to view the glorious sunset up here on the Skypark. The view from the Skypark is also another huge draw. 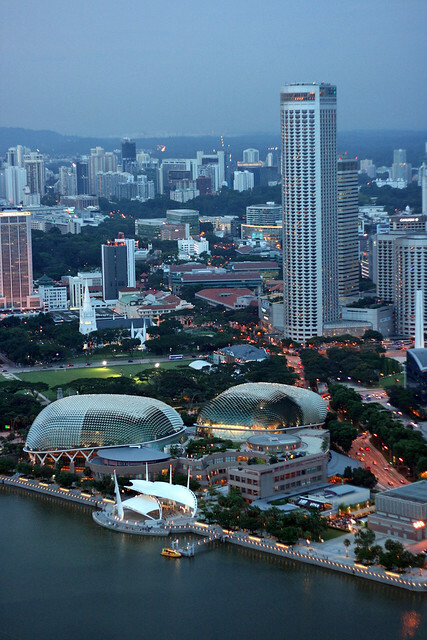 You can see the entire Singapore skyline from the vantage point of the 57th floor of the Marina Bay Sands hotel. 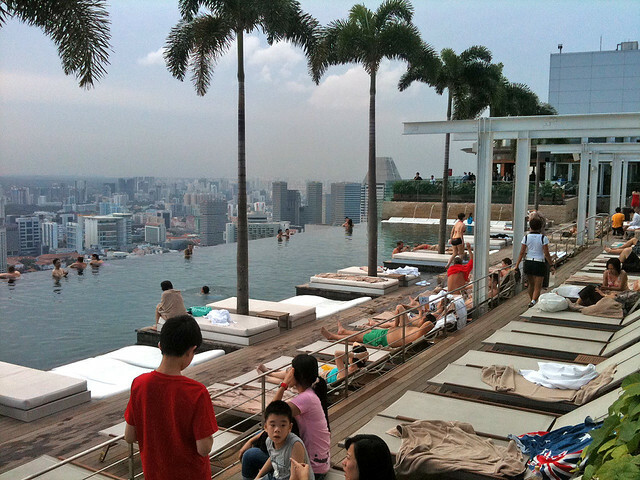 KU DÉ TA also overlooks the infinity pool at the Skypark. The pool is certainly very popular with the hotel guests. I also got a peek at the hotel room my friends stayed in. The Orchid Suite at Marina Bay Sands is HUGE and gorgeous. If I had known, I would have brought a wide-angle lens to capture the full glory of the room. Too bad I only had my 50mm lens with me then. Well, this place is starting to look like a nice staycation destination (oh they have a "Shop & Stay" package that you can book from now til 3 July, to stay til 1 Aug). Lots of promos for the Great Singapore Sale too. Yeah, the Urban Breeze looks like a party all in itself! Mmmh! stunning photos! 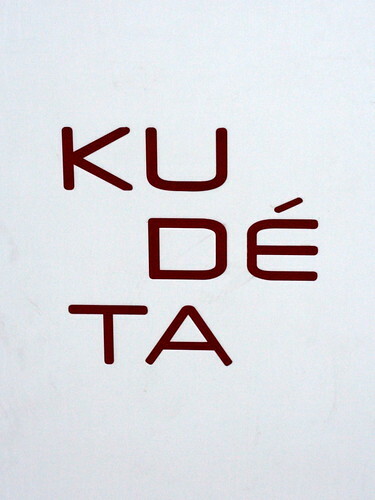 haven't been to Ku de ta, but definitely want to check it out on my next trip home!